Fast Limo Hire offers limousine services depending on your needs. 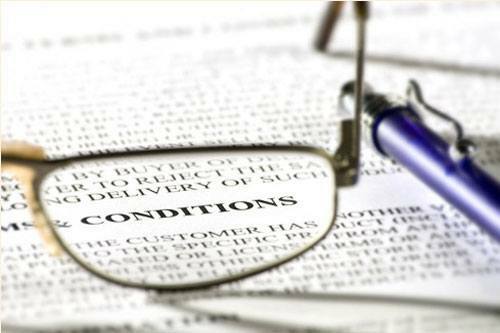 These terms and conditions are all incorporated in the contract which you will be receiving and signing right after the order has been placed and processed. Upon making a reservation through our online form, telephone or email, you are therefore agreeing to the terms and conditions specified on this site and contract. The contract is based upon these terms and conditions and we serve the right to make any changes without prior consent to our customers for the improvement of our services and website. Any changes made will be posted immediately on the website and will take effect an hour after its posting. All reservations or orders made will only be deemed accepted upon the receipt of a confirmation email provided by our management for the order or reservation placed. The price set and agreed upon will be the cost to be paid for service provided. The final duration, the route, the destination and other details of the service shall be written on the order or reservation confirmation email that our management has provided to you. Any changes wished to be made should be submitted 1 week or 7 days prior to the actual date of appointment or reservation for us to accommodate the necessary changes as you preferred. If the said changes include any form of addition to the service may have additional costs to it. The client or customer who has requested these changes would immediately receive a notification informing them about the additional costs. All of the contents on this website including the text, images, codes, price lists and all other documents on this website would serve only as a guide. Fast Limo Hire serve the right to make any changes on our website as well as to the services provided in accordance with any applicable safety and other regulatory requirements. No variation of these conditions shall be in effect not unless it has been agreed upon by the customer or client and our company. All bookings and reservations shall be confirmed by a deposit which is not refundable. The balance due for payment will be the outstanding amount minus the advance payment made. The outstanding balance should be paid at the occasion and position of the primary pick up during the date of appointment. The mode of payment shall be set on the booking or reservation confirmation. Any deviations or variations to this policy shall be set in the booking or reservation confirmation which has been agreed upon by both our clients or customers and our management. If in any case, your desired limousine service is unavailable, we will do our best to meet or exceed your expectations by providing you another type of service. We are therefore, unable to make any guarantees in terms of vehicle specification which may include the features of its interiors, themes preferred, beverages served at the complimentary bar and the vehicle’s color scheme. We have the option to change your limousine of choice which includes the color and the type of limousine. This change may be due to the reasons such as if the limousine type chosen is proven to be unfit for your needs as well as your passenger’s needs. We will do our best to provide you with the service that will meet your satisfaction but cannot guarantee that we will be able to provide you with a service that is identical to what your first preferred. Our customer or clients will be responsible for the repairs or any damages and cleaning services if in case the interiors have been soiled. We will also be charging an additional cost during these instances. If a credit card has been used as the method of payment for the service, any of these additional charges will be charged on the credit card used as specified in these terms and conditions. Eventually costs begin right after the finish time which is stipulated in the contract. The payment of overtime charges should be established before the finish of the limousine hire service. We have several limousine hire options which are all available for your choosing. This includes a one way service, pick up and return service and a continual hire service. Not unless our customers or clients opted for a continual hire, the limousine hires may perform other services to other clients and will get back to the first client as scheduled. The services will be cleaned first prior to the return. In case of unexpected car breakdown, we will do our very best to provide you with a backup service as rapidly as probable. Though, we will not be detained legally responsible for any loss which may happen due to the car break down. Any form of cancellation for reservations or booking which have already been confirmed will have a cancellation charge. Any cancellation which we were not duly informed will be marked as a NO SHOW and will have an additional charge of 100%.